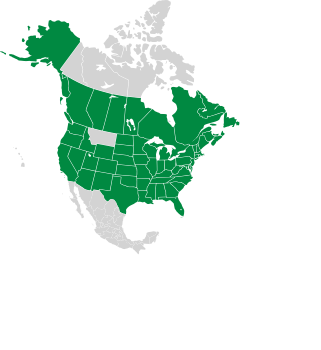 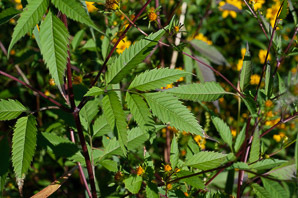 These widespread North American native plants have all kinds of colorful common names that relate to the small fork-shaped seeds, which readily hitch rides on passers-by. 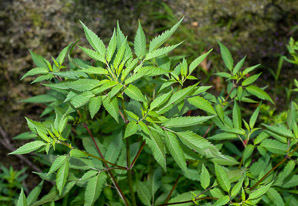 Identification: Plants are 12-36" (30-91 cm) high, rarely up to 6' (1.8 m). Stems are square in cross-section, nearly hairless, and light green, reddish green, or purple. Lower leaves are odd pinnate clusters on long petioles, in opposite pairs; upper leaves may be alternate. 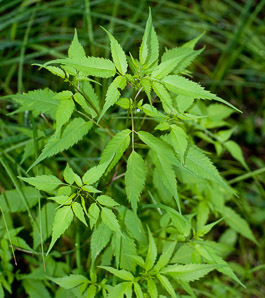 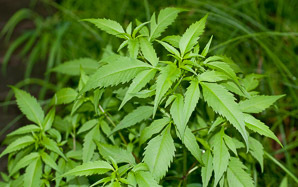 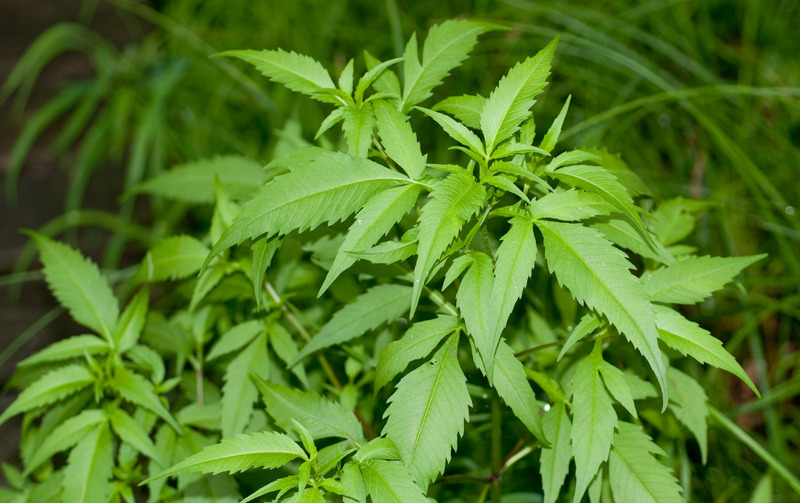 Leaves are up to 3" (7.6 cm) × 1" (2.5 cm), coarsely toothed, deltate or lanceolate. 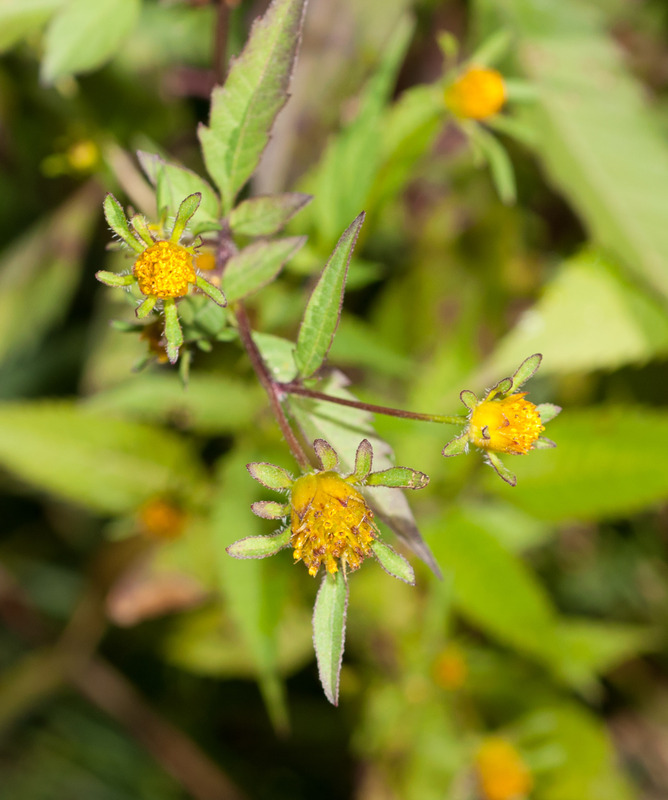 Composite flowers are typically composed of 20-60 orange-yellow disc florets about ⅜-½" (9.5-12 mm) around, and sometimes a few yellow rays, each ¹/₁₆-⅛" (2-3.5 mm) long. They are encompassed in 6-10 phyllaries, like a rosette of small leaves. 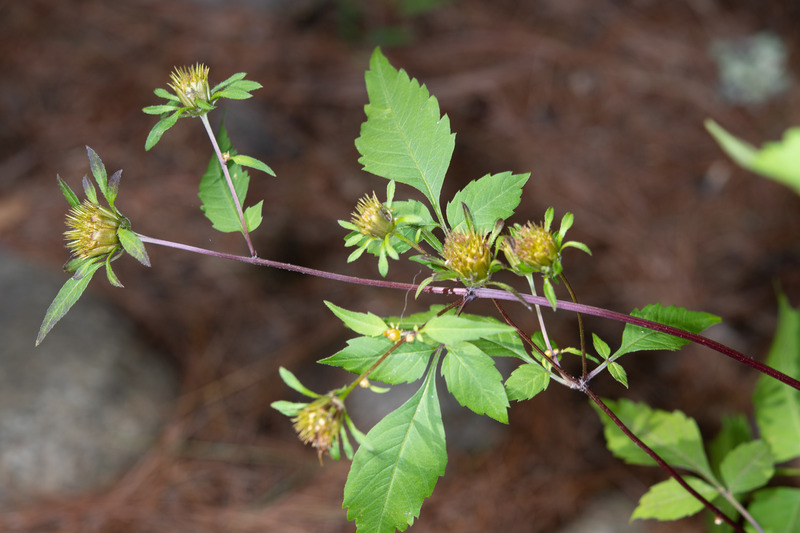 The flowers look sort of scraggly and unimpressive to me. Flowers occur in groups of one or up to 12, appearing from late summer to early fall. 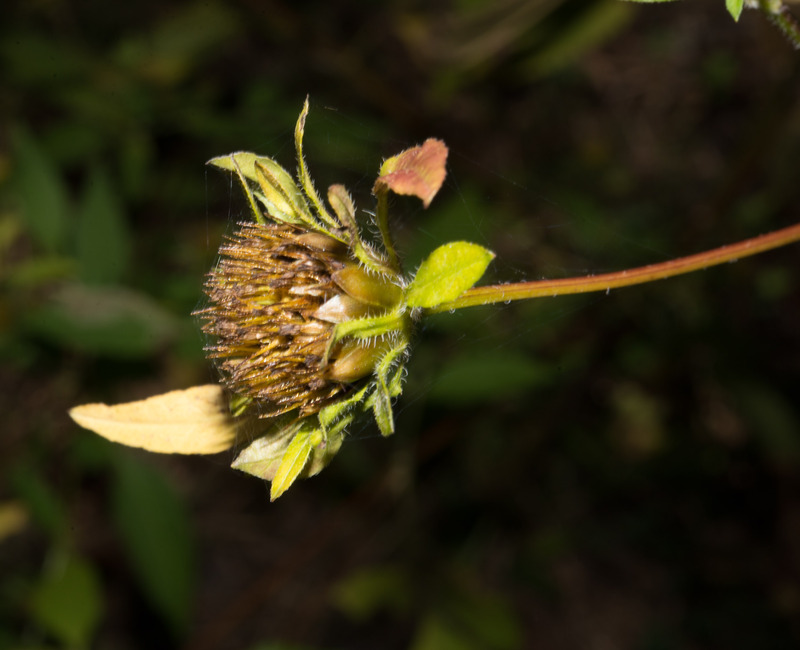 The seeds or achenes are shaped like a narrow triangle, with two barbed fork tips that attach to fur or clothes. 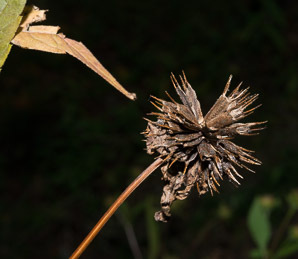 The seeds are also distributed by the wind. 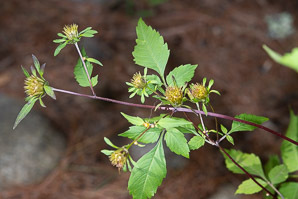 Edibility: Cooked young leaves and stems are edible. 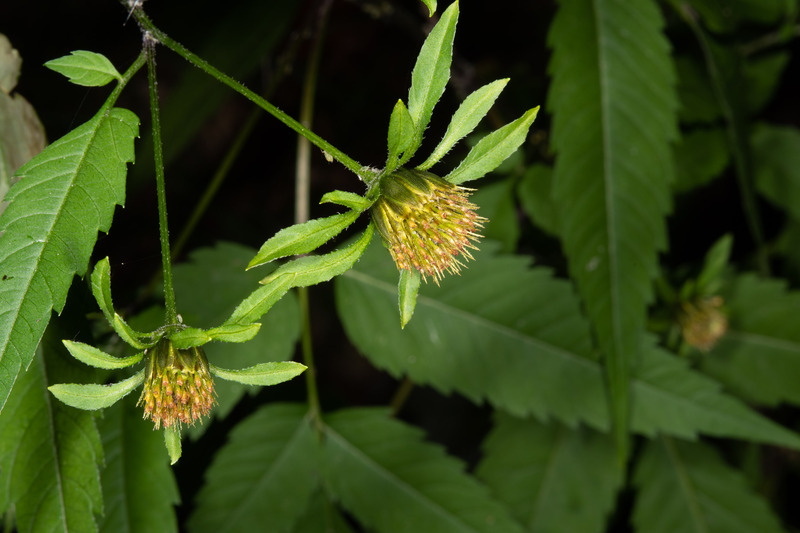 Medical: Infusions made from this species are used to treat several urinary tract problems, as well as to reduce recurrences of gout by increasing excretion of uric acid. 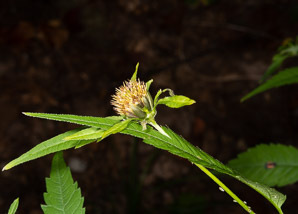 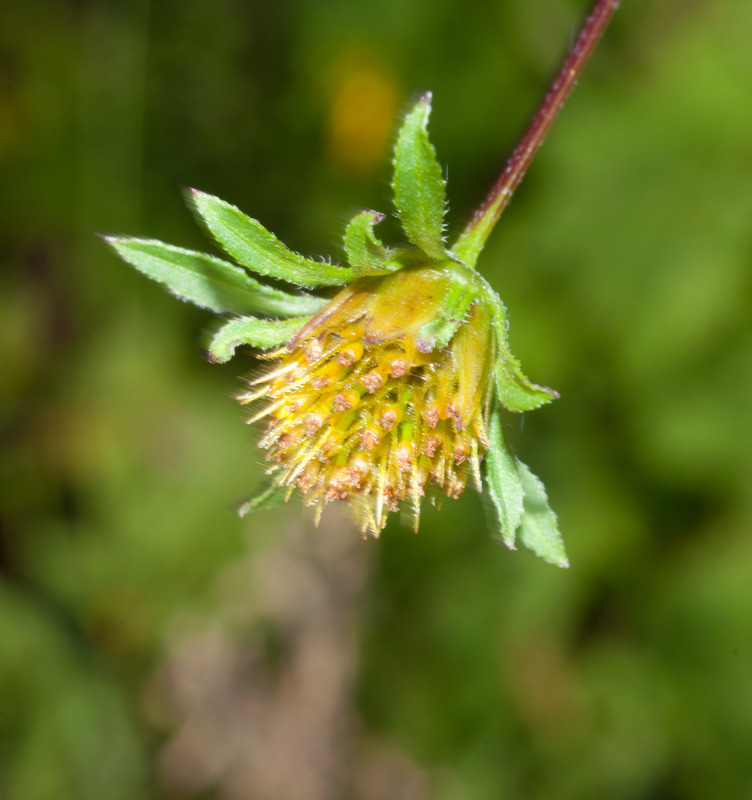 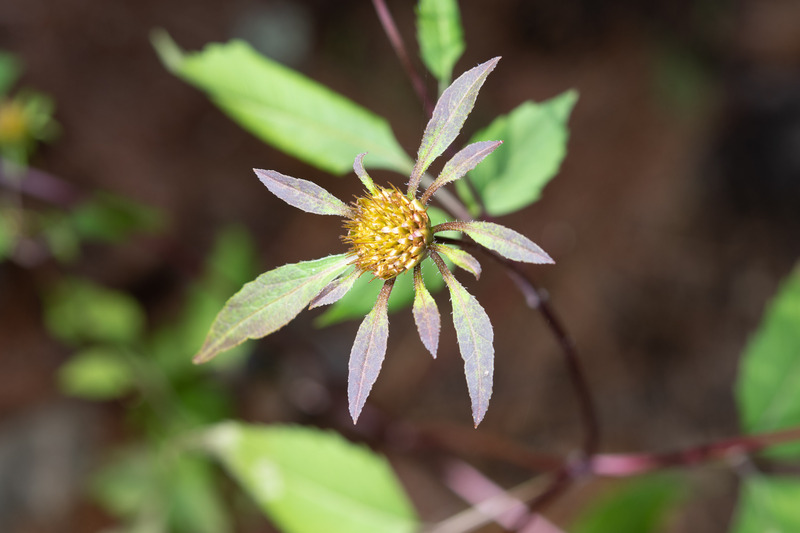 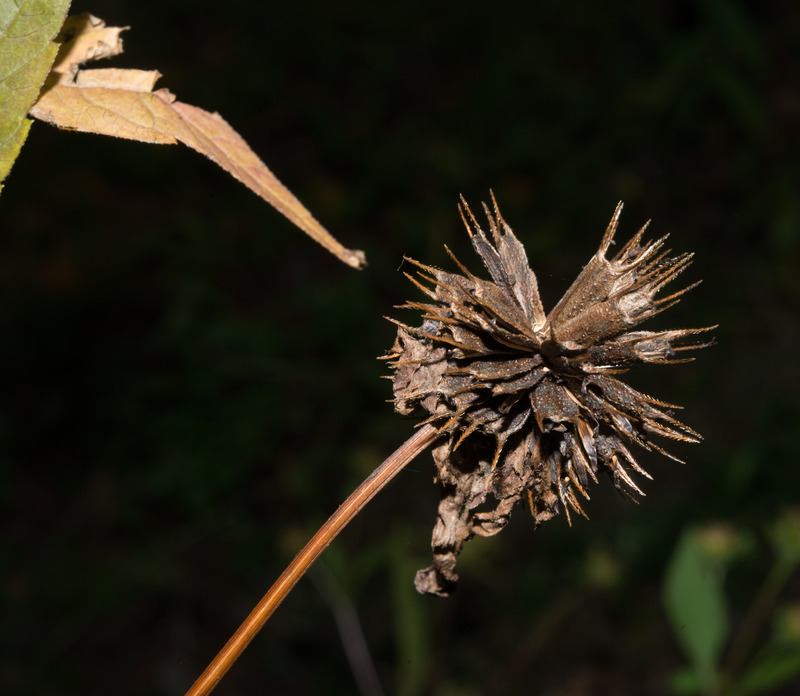 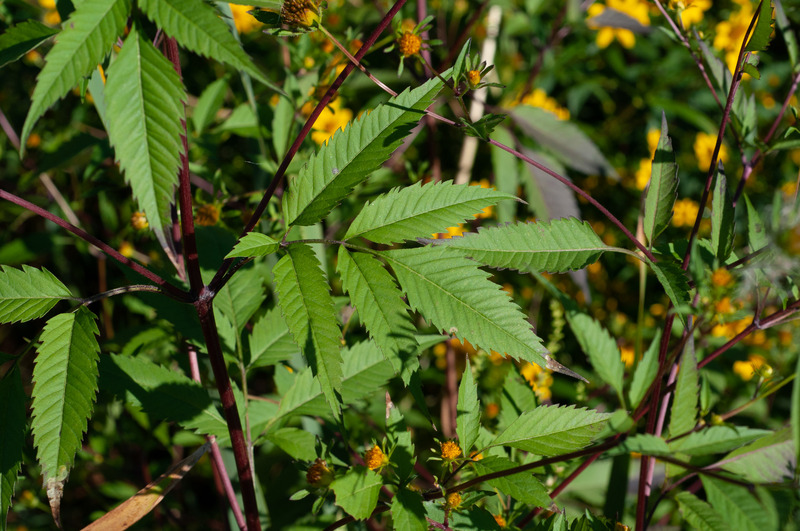 Bidens frondosa description by Thomas H. Kent, last updated 12 Oct 2018.